Excellent, HONEST Service! Friendly, gave good advice and went the extra mile. The price was good and they did good work. They showed up on time and worked with my schedule. They were very professional and easy to work with. They have been very helpful since. They did a fantastic job! They put in a new furnace system for me. Jacobson Heating & Cooling offers convenient financing options, subject to credit approval, for your home improvement projects. Click to check out the latest rebates, incentives and special offers to help save you time and money. Jacobson Heating & Cooling offers day and night emergency services from 8:00 am til midnight, 365 days a year! Jacobson Heating proudly serves greater Grand Rapids, including; Grand Rapids, Kentwood, Caledonia, Byron Center, Middleville, Cascade, Ada, East Grand Rapids, Rockford, Wyoming, Grandville, Jenison, Hudsonville, Wayland, Walker, Comstock Park and all other greater Grand Rapids and West Michigan areas. 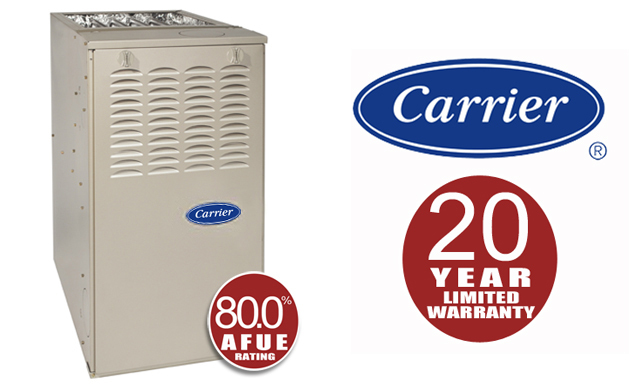 The Base 80 gas furnace features 80% Annualized Fuel Utilization Efficiency (AFUE) and because of its small size, it can fit in the tightest of installations.